kent75 Very responsive, good, friendly and helpful seller. 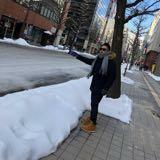 Quality good with great price. Very fast postage too. Will deal with you again soon! 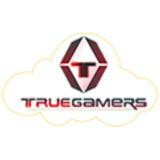 Truegamers.com.my is an online store which is selling Video Game, Game Consoles, Portable, Gadgets, Toys, Accessories, Controller, PC, Software, Digital Code. PDP Nintendo Switch Zelda Breath of the Wild Premium Travel Case Hold your Switch console and up to 14 game cards with the Nintendo Switch Premium Console Case. This officially licensed case is made from soft canvas and keeps your Switch protected when not in use. PDP Nintendo Switch Super Mario Brothers Premium Travel Case Hold your Switch console and up to 14 game cards with the Nintendo Switch Premium Console Case. This officially licensed case is made from soft canvas and keeps your Switch protected when not in use.